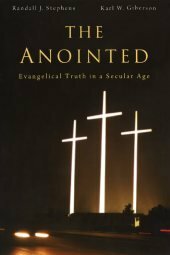 Dr. Georgia Purdom and Mark Looy review The Anointed, the new book by Drs. Karl Giberson and Randall Stephens. This past week our ministry’s library received a copy of the new book The Anointed,1 authored by Drs. Karl Giberson and Randall Stephens and published by a division of Harvard University Press. Dr. Stephens teaches history at Eastern Nazarene College; Dr. Giberson is a former science professor at the same college. We noticed right away that Answers in Genesis and president Ken Ham were featured prominently in the book. However, based on the fact that Dr. Giberson (a theistic evolutionist) has been a frequent critic of AiG, we realized we would probably not be treated in a flattering way. We can accept such prominence in the book as something of a badge of honor. After all, the authors recognized AiG as going against the grain of the secular academic establishment while we stand on the authority and trustworthiness of God’s Word from the very first verse (as opposed to the words of finite, fallible man). In fact, the first chapter of The Anointed is devoted to Answers in Genesis. Throughout their book, Giberson and Stephens took swipes at AiG as well as other ministries and Christian leaders. In our modern “academic” world, the authors deemed us to be intellectually unrespectable and an embarrassment to Christianity. Multiple Christians were called “amateurs,” and other derogatory words pepper the book. The authors argued that when Bible-believing Christians engage the culture in controversial areas like creation vs. evolution, believers should trust a highly educated PhD theistic evolutionist and evangelical like Dr. Francis Collins over someone like Ham (who has the Australian equivalent of a master’s degree). What follows is a summary of the many problems with this highly pretentious book. This is a book that attempts to be a scholarly look at “unscholarly” Christian leaders of prominence in America. It is, after all, published by the prestigious Harvard Press. Yet we were surprised to find several mistakes in the introduction and first chapter alone—plus a generally snide tone that is unbecoming of a scholarly work. For example, the authors gave the wrong month for our Creation Museum’s opening (p. 11); they mistakenly claimed that Dr. James Dobson, founder of Focus on the Family, is a young-earth creationist (p. 19); the year given for the first “Back to Genesis” seminar is incorrect (p. 41); and the name of our daily radio program is incorrect (p. 11). Also, we found many exaggerated misrepresentations in The Anointed, including the claim that the late Dr. Henry Morris of the Institute for Creation Research (ICR), the founder of the modern creationist movement, supposedly drew significant inspiration from a “mentor,” George McCready Price (p. 23). This is simply incorrect and was most likely regurgitated from the book The Creationists by historian Dr. Ronald Numbers. In addition, the authors asserted that Bryan College in Tennessee is “a leader in the young-earth creationist movement” (p. 213). In reality, it is not committed to the young-earth position at all—many of Bryan’s professors reject it outright. In addition, The Anointed authors attempt to portray Bible-believing creationists as some kind of reactionary minority within evangelicalism, declaring that creationists make up a parallel culture within Christianity. However, even with the general population of the United States, Gallup polls in recent decades have consistently revealed that at least 40% of all Americans believe that a Creator God made the first humans within the last 10,000 years.2 While many of these people surveyed no doubt hold to some views of evolutionary belief, the polls nevertheless consistently show that believing in a Creator who made human beings in the past 10,000 years is not a culturally marginalized position in America. In the beginning of the chapter on AiG, the authors commit the logical fallacy of reification.3 In the opening passage, the authors declared that people driving to the Creation Museum are probably oblivious to the “successive layers of rock [that] tell the tale of life in the Ordovician era: one species giving way to another” and that “motorists … have little interest in the story told by the rocks outside their car windows” (pp. 21–22). They stated that the very rocks outside our Creation Museum bear testimony against what is taught inside the museum. But rocks, of course, don’t have the capacity to “tell a story.” Their formation must be interpreted by people. The rocks don’t have stickers on them that speak for their age or how they were formed, nor do we observe in the rocks a sea-floor environment with creatures living and dying. There is only one empirical conclusion we can make with certainty from observing the fossils in these rock layers—this is where the once-living marine creatures are now buried on the continent. It is crucial to understand the nature of starting points when interpreting the evidence around us–which is why our Creation Museum starts with a “starting points” exhibit. We all have biases–both creationists and evolutionists–so we in no way wish to denigrate scientists for having biases. When it comes to science in the present (science “proper” – empirical, testable, repeatable observation and experimentation), there is actually little disagreement between creationists and evolutionists. However, when it comes to reconstructing past events, our different starting points will cause us to interpret the same evidence differently. 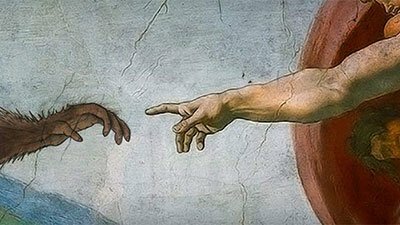 After all, creationists and evolutionists have a different view of history–even a different philosophy of what is possible in the past. Does Evolution Really Cause Social Ills? The authors also asserted that ICR and AiG argue that evolution is “responsible for much of what’s wrong with the world” (p. 36). Answers in Genesis has never stated or implied this. 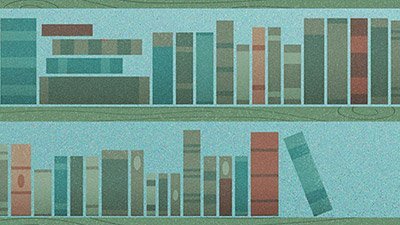 We have both—in countless articles and even in the 2008 online debate between Ham and Dr. Giberson—declared instead that the teaching of evolution has caused many to doubt or disbelieve the Bible. Thus, the more we see people not believing the Bible, the more we will witness morality being seen as relative, and thus people can justify all sorts of moral ills. For example, if a person wants to be a racist, evolution can be (and has been) used to justify racist beliefs or even fuel racism. But evolution does not cause racism. Sin is the cause of racism. In alarmist ways, the authors often resorted to hyperbole as they attacked the credibility of several Christian leaders in an effort to turn them into societal boogeymen. They call several small creation ministries “large” (p. 33) when they are not at all. The authors even described AiG as a “media empire” (p. 45) and then a “juggernaut” (p. 59). However, our annual budget is dwarfed by even the smallest cable TV networks. For example, our yearly revenue is a mere 1/60th of the cable network Home & Garden Television (HGTV), which is hardly a media empire compared to the big TV networks. The authors of The Anointed also fatuously claimed that creationist groups have access to considerable funding to proclaim their biblical authority messages. However, when put into perspective and compared to the billions of dollars in revenue received annually by public schools, science museums, and public television across America (which proclaim the anti-biblical message of evolution and millions of years), the creationist funding is the proverbial drop in a media financial bucket. I love science. In fact, AiG employs a number of scientists (and works with others), all of which obtained their doctorates from secular institutions. Across the hall from me, for example, is Dr. David Menton, who earned a PhD in biology from an Ivy League school (Brown University). As we both know, the etymology of the word “science” has the basic meaning of “knowledge.” Today, when the word “science” is used, we are usually referring to observational science. Are the Authors Out of Their League Themselves? The Anointed authors extolled Darwin as the most famous scientist of the 19th century (p. 43), but we must note that Darwin did not have the much-vaunted doctorate set as the gold standard for academic respectability. Interestingly, Giberson pointed out that a medical degree is only “marginally relevant” (p. 56) to the field of evolution. Yet as someone who holds a PhD in physics, which we would argue is largely irrelevant to the field of evolution, Dr. Giberson felt confident that his assertions about evolutionary biology and geology are valid. We must point out that six of the full-time Answers in Genesis faculty members have doctorate degrees in their fields, including genetics, astrophysics, geology, biology, the history of science, and medicine. This fact is conveniently omitted in a book that pretends to question the scholarship of our staff. And apparently for the authors, Ken Ham’s 35-plus years of research, writing, and speaking on apologetics don’t quite measure up to the knowledge level of a student leaving a university with a PhD in science. As the authors frequently singled out the AiG president for criticism, they demean him with terms like a “pied piper” (p. 45) of the seemingly uneducated masses of Christians. His views, the book argues, have “transported [him] into a scientific Land of Oz” (p. 59). Ken is said to have a “pandering anti-intellectual presentation style in his talks and writings” (p. 45). Furthermore, the authors bizarrely contend that the last time Ken “brushed up against science” was during the Cold War (p. 58). Ken has surrounded himself with PhD colleagues for the past 25 years, as well as doing his own extensive research and writings. When he and another creationist debated two evolutionists over ten years ago at Harvard, Ken acquitted himself quite well. At least The Anointed authors managed to muster the word “affable” (p. 45) to describe Ken, though he was also called “stern” (p. 11) earlier in the book—so which is it? The authors’ shining example of a Christian scholar who runs counter to the supposedly unscholarly Ken Ham is evolutionist Dr. Francis Collins, who is the only alternative for “the educated wing of the evangelical world” (p. 51). If Drs. Giberson and Stephens are wrong in both small things (like incorrect dates) and large matters (falsely accusing ICR and AiG of blaming evolution for many social ills, implying they lack credentialed staff, etc. ), then the book’s very premise that “amateur” evangelicals are to be taken as untrustworthy is called into question. The book’s manifest poor scholarship casts a revelatory spotlight on the authors’ own failings and biases concerning biblical Christianity. As we expose the poor scholarship of a book that appears under the Harvard banner and is meant to be taken as a scholarly work, we will mention another irony. While Giberson and his historian co-author (acknowledged as an expert in American Pentecostalism7) reviled ministries like Answers in Genesis for speaking on topics for which they are not credentialed, the two authors themselves frequently dwelt on topics for which they were not academically trained to address in their doctoral programs. These include theology, political science, psychology, and sociology. Furthermore, as we indicated earlier, Giberson is trained as a physicist, yet he felt qualified to critique AiG in areas far outside his specialty, such as biology and geology. All this raises the question, if the authors are not academically trained in these areas, who decided to anoint them to critique evangelicals who hold views different from their own? As Christians, our authority rests with the clear teachings of the Bible, starting with its very first book. The authors have made their belief clear that science trumps Scripture. “Many educated evangelicals, informed by biblical scholarship, have thus concluded that the Genesis story of Creation is simply not literal history” (p. 49). They added that “the modern scholarly approach to Genesis transforms the story into a myth in the best sense of the word—a story with a powerful meaning that may or may not be tenuously rooted in history” (p. 49). What the authors failed to recognize is that the Bible’s history in Genesis is foundationally important to the gospel. Even some atheists realize this connection, as seen in this quote from the anti-Christmas campaign of the American Atheists organization. If Genesis is merely a myth, then it nullifies the purpose of the death and Resurrection of Jesus Christ, and as the apostle Paul wrote, “ If Christ is not risen, then our preaching is empty and your faith is also empty ” ( 1 Corinthians 15:14 ). This is why the issue of biblical authority is so vital to Christianity. It’s not just about Genesis; it’s about the person and work of Jesus Christ. 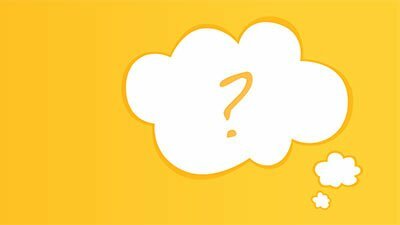 Are Visits to Heaven for Real? Evolution: Scripture and Nature Say No! The title was apparently derived from the following paragraph in the book: “High-profile leaders who attract great followings, and who are, in the vocabulary of their constituents (and themselves), ‘anointed’ by God to speak for him to Christians, resemble the biblical prophets of old who spoke as God’s official messengers” (p. 7). Answers in Genesis does not pretend to be presenting a “new” message. We merely share what the God of the universe has already clearly taught in Genesis, a book which is written in historical narrative, not as poetry or allegory. See The Fallacy of Reification. See the blog post by Dr. Purdom explaining the differences between these two types of science. “The Christian Scholar,” published by Eastern Nazarene University; Vol. 70, No. 2, Summer issue 2011.